Why do new houses in the DC area cost as much as they do? One of the biggest factors is the cost of land. There’s a way to fix that problem and make it easier to build more homes on a piece of land — but in most cases it isn’t available. 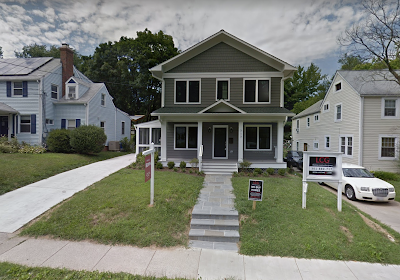 These two vacant lots in Silver Spring were for sale this summer. Image by the author. Let’s do a thought experiment. Say you’re a smalltime developer who builds one-off houses in close-in, established neighborhoods. You’ve got access to a construction loan from a local bank, which you have to pay back in one year — enough time to build the house and sell it. You find two lots for sale in Silver Spring, a few blocks off of Georgia Avenue and a short walk to the Metro. 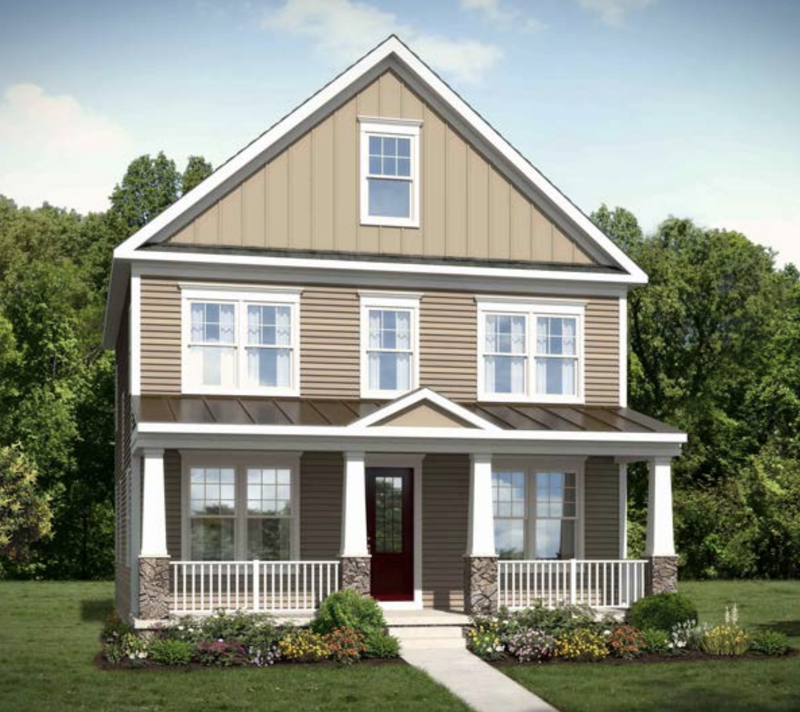 The lots are each 11,000 square feet (about a quarter-acre) and listed for $315,000. That’s a lot of money for a piece of land, but this is an increasingly popular area. You notice that a new house on the same street is listed for about $925,000, suggesting you could make a lot of money. You contract with a local homebuilder, which allows you to pick a house design and have it built on your land. You select a two-story Colonial with four bedrooms, two and a half baths, and 2,400 square feet. The house sells for $280,000, but it comes with pretty basic finishes, and you want to wow your buyers. So you splurge on some upgrades, like stainless steel kitchen appliances, hardwood floors, a finished basement, a deck, and a big front porch, which will help it blend in with its neighbors. It comes to about $350,000. Look at that cutie. Image from Stanley Martin Homes. So far you’re out $665,000, but that’s not all. First, you have to get permits to build the house, and there are many. The building permit is $0.71 per square foot (or $1700 total for the house, and $280 for a detached garage). A deck permit costs $180, while a fence permit is $72. A driveway permit costs $150 plus 14.65 percent of the project cost. We’re anticipating about $3,000 in fees. There are also “impact taxes,” which Montgomery County charges new development to help pay for infrastructure, like roads and schools to serve the new house. Together, that’s about $40,000. Next, you have to clear the lot, preparing it for construction, and make sure it’s connected to water lines, sewer lines, and electricity. That’s about $2 per square foot, or $22,000. And once the house is finished, you’ll need to put in a driveway, lay down sod, and do some landscaping, which will cost about $20,000. Now your house is built, and you’re out about $750,000. If you can sell your house for $925,000, that’s…$175,000 in profit, right? Sweet! Nope. You want to hire a real estate agent to sell and market the house, and as the seller you’re responsible for paying their fees and the fees of the agent who brings the buyers. That’s six percent of the eventual sale price of the house, or about $55,500. You’ll also need to pay for closing costs, which are about two percent of the house price, or $18,500. On top of that, you have to pay back the construction loan. Your lender required you to make a 20 percent down payment, or $150,000, so you owe the bank $600,000. On that amount, you had to make monthly payments to cover interest (about 10 percent), taxes, and home insurance, which comes out to about $3,000/month, or $36,000 for the year. In addition, let’s say your investor friend gave you $50,000 to help with the down payment, and you promised her eight percent interest, which is another $4,000. You’re now out $864,000. If this house sells for $925,000, you could make a profit of $61,000. But that’s a big "if." Your agent looks up the comparable sales for your neighborhood and finds that there were four other houses in a similar price range, all of which sold below asking. That house down the street that listed for $925,000 has since sold for $850,000. How? 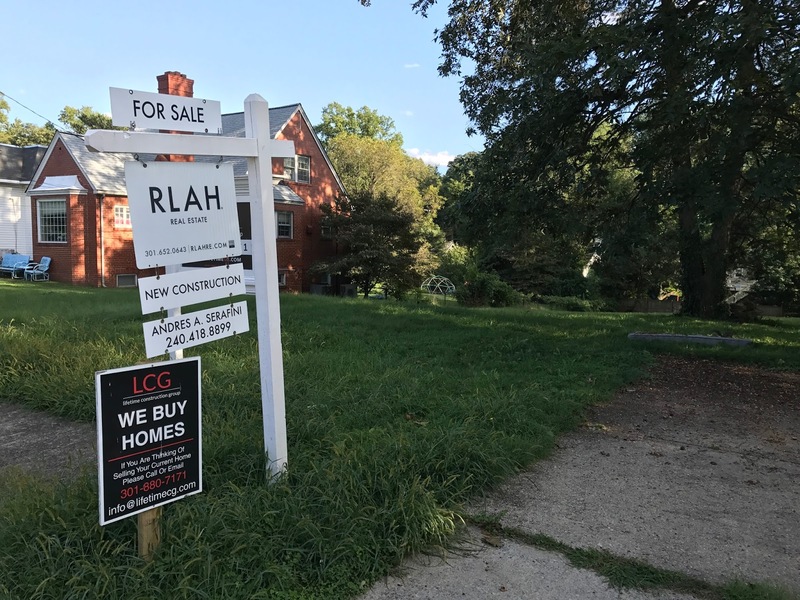 There are plenty of people who’d like to live in Silver Spring, but not enough homes for them, and prices are rising as a result. However, that demand isn’t the same in every price range, especially for homes over $800,000. Those homes tend to sit on the market for a little longer than cheaper homes, and often sell for less than the asking price. Suddenly, your sure deal looks risky. If you can get $850,000 for your house, you’ll lose $12,000. So you price it at $925,000, hope for the best, and wait. What if you built two houses instead? Noting that homes under $800,000 sell faster, you wonder how you could sell the house for $725,000 and still come out ahead. You remember that the house itself cost $350,000, but the land it sits on cost nearly as much. What if the land was cheaper? You may not be able to convince the land’s owner to sell it for less money. But if you built two houses on the land, you could cut the cost of the land in half. That comes out to $631,500. But you have to take out a construction loan for two houses, and instead ask two investor friends for $50,000 each, again at 8 percent interest. That means $28,000 per house in monthly payments, and $4,000 per house in interest. Now you’re out $663,500. If you priced each house at $725,000, you could make a cool $123,000. Even if each house sold below your asking price, your chances of coming out ahead are greater, since you have two chances to profit. And potential homebuyers have slightly more options they might be able to afford. Newly confident, you wonder if you could get that price even lower, say to $550,000, which could attract a lot of homebuyers. The land is the one cost you can change, so what if you managed to fit four houses on the land, say by attaching them to one another as a group of townhouses? If you listed each of these houses for $550,000, you could make $183,000. Again, even if each house sold below your asking price, you have four chances to make a profit and a much wider group of homebuyers have the chance to buy a home in this neighborhood. These are back of the envelope calculations, and you should take them with a grain of salt. That being said, this is a pretty accurate reflection of how homebuilders and developers figure out how much to sell a house for. These two lots are real, and each sold for $315,000 this year. The buyer was a local homebuilder who built this home down the street, which listed for $925,000, and sold for $850,000 a few months later. They'll probably do the same here. That’s because, despite the risks of building just one house that the local market may not want, it would be illegal to build four houses on this lot, or even two. This lot is zoned R-60, meaning building lots can’t be any smaller than 6,000 square feet, or this lot is just small enough that you can only have one house there. You could rezone the land to allow more than one house, but neighbors in Silver Spring just spent three years fighting such a proposal a few blocks away, and you can’t blame someone for wanting to avoid that. Homebuyers would like more affordably-priced homes (if you consider $550,000 “affordable”), and homebuilders can and would like to build them. To avoid the hassle, they either build really expensive houses in close-in neighborhoods, or build cheap houses farther out. The best way to improve the situation is to allow more neighbors to live in your neighborhood. Just ask anyone who’s tried to build a house.